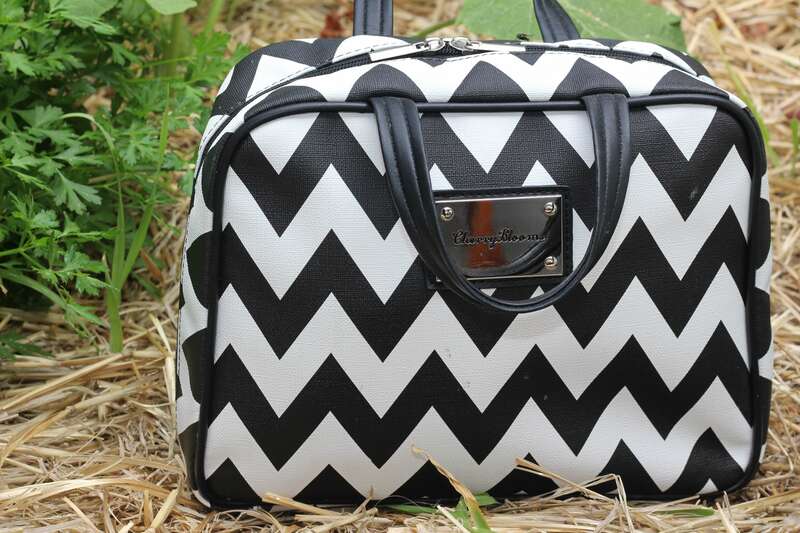 This review is for the Cherry Blooms Chevron Beauty Organiser which retails for $72 AUD. I travel a lot. Which is amazing. I love it, but things can get messy and unorganised while I’m on the move. This organiser is simple and ridiculously good. It’s the only beauty/makeup/toiletries bag I need to take with me now, and I’m SO glad I found it. It’s helped me get organised, and simplifes my routine. 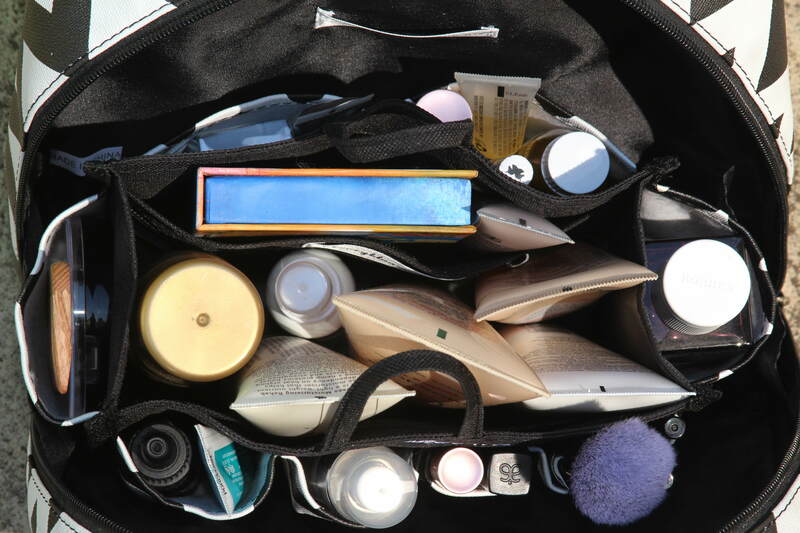 I love that I can keep my makeup and toiletries in one compact (but still spacious!) and mess free bag. The claim is that this bag fits 80+ products, and I’d believe it. 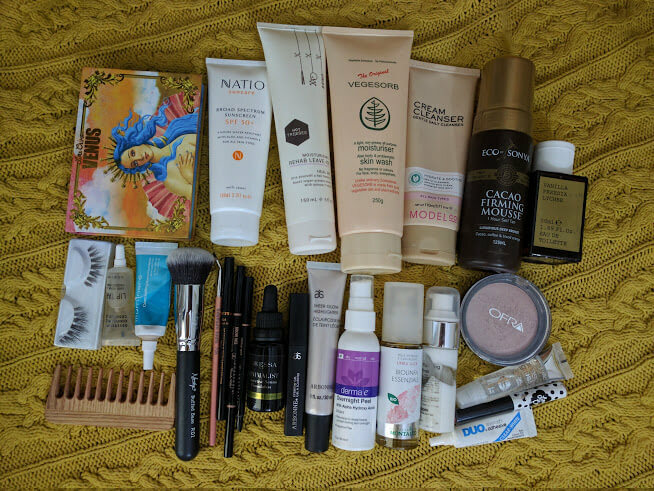 I’m able to carry everything I need in mine (including full sized products) and there is still space left. I’ve been using the bag + organiser for more than 3 months now and it’s held up beautifully. 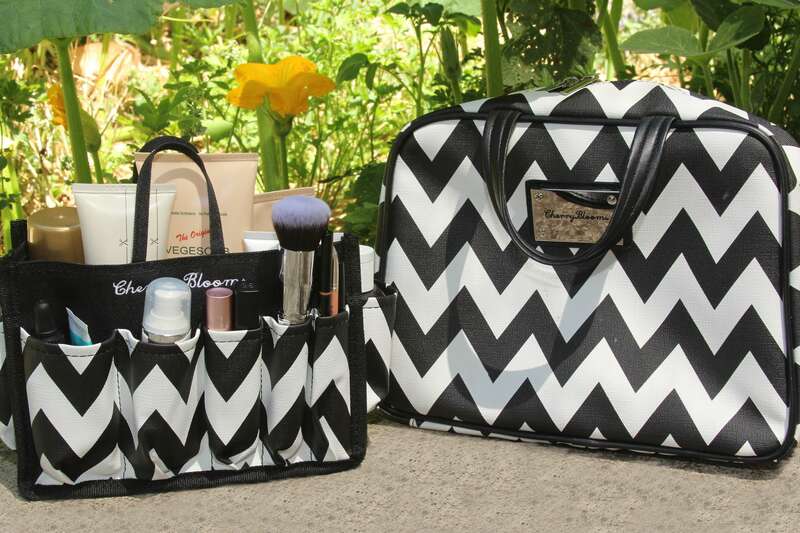 It holds my makeup, skincare and haircare products, makeup brushes, and there are small compartments for tweezers and other accessories. I also really like the black and white Chevron design. It’s easy to clean and most importantly it’s easy to keep organised. I love the fact that I can pull out the insert and stand it in the bathroom, then zip it back into the bag and lie it flat in my suitcase, even keeping my makeup brushes safe. 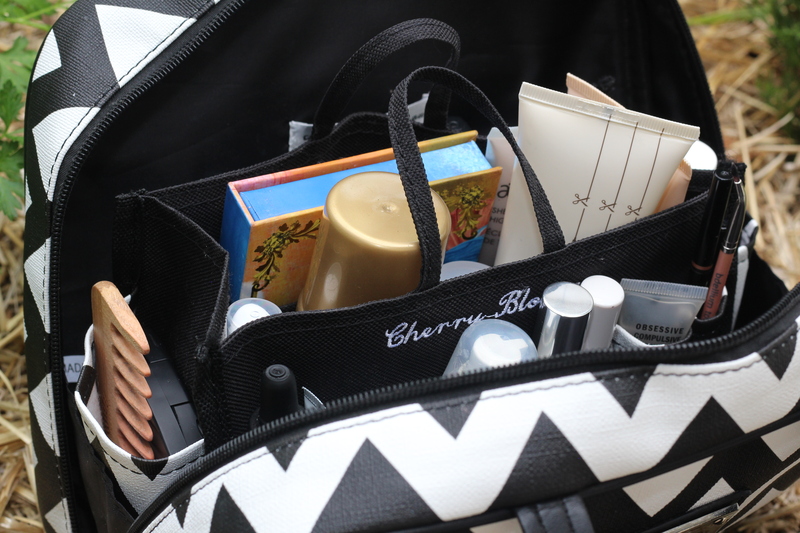 The Cherry Blooms beauty organiser is available worldwide here. and they have Afterpay! Keep in mind that the the entire Cherry Blooms range is not vegan. Their vegan options are their bags and accessories, and their Fibre Brows range. They also sell Hot Tresses! Thank you for choosing truly cruelty free products. ~ This range was provided to me for review purposes, however all opinions within this review are my own, and true to my experience. I will always be honest about how a product performs regardless of whether the product was supplied or purchased! What a cool bag. Does it come in different colours? I’d love to get a red one!